For those who do not know that I’m using Nokia N95 8GB where that’s the only my phone that I use to Voice Call, Video Call, Sms, MMS, and sometime Twitter and Facebook at the place that have WiFi. It’s quite mafan where I do not have any internet plan like other people that they easily can use internet and especially twitter all of the time. Some of my blogger friend they realized that I asked them many times how they can twitter most of the time. I tried to get new phone where I can access unlimited internet and of course with the big screen as well. Now my phone also sohai liao. Keep switch off by it’s self. I tried to grab blackberry but the screen to small for me. 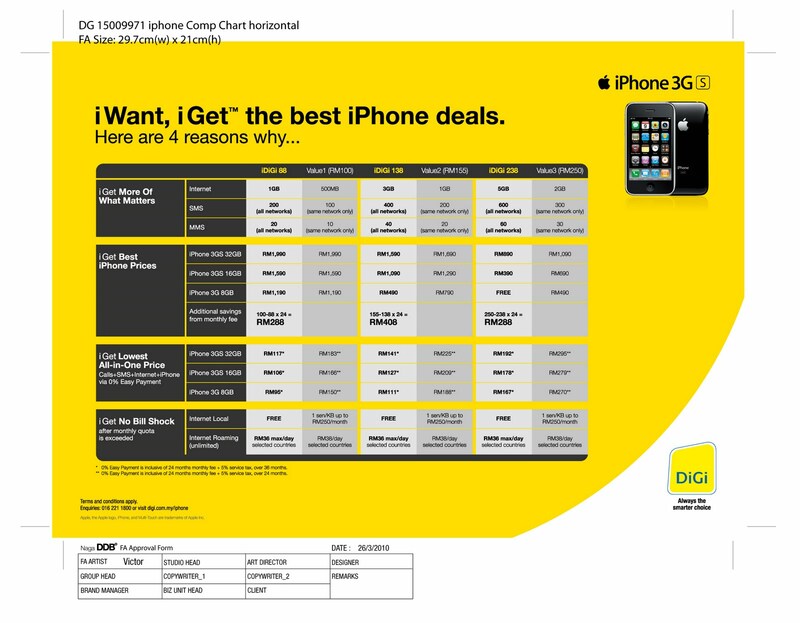 The good news is… Digi will release soon their new package! 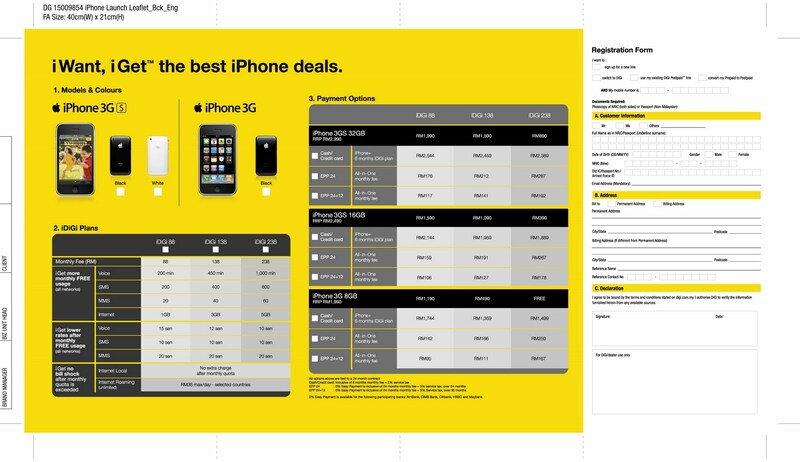 I Phone 3GS Plan! Info get from Handsome Guy!